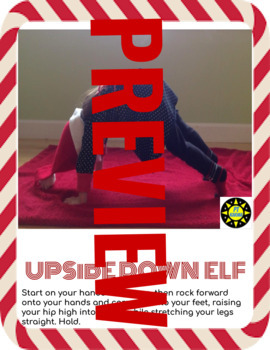 SIX fun elf-themed poses, available to print in full page photos or smaller photo card size. Number cards are also included if you want to use these in stations and number each of your stations! I hope you enjoy these fun cards!! Please comment and let me know how you used them in your classroom!! Ready to use pictures! Print and go! Set up stations or put them on the big screen. 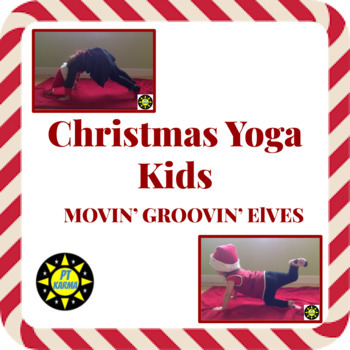 Try these fun 6 "Elf-themed" yoga poses in your classroom, in your small group interventions, for a brain break, or just for a fun activity. These may be done as a whole group activity or in small group sessions. Ideal for PreK - 5th grade students. Included in this packet are 6 of your favorite poses (which are all familiar poses that have been renamed by santa's elves). Santa's elves have to get strong in order to get all of the work at the North Pole completed before Christmas. This packet includes real photos. You can copy these photos for your classroom only. Please do not reproduce, resell or reuse in any other fashion.